Bits of Splendor: Meet Andi from The Hollie Rogue & a Giveaway! Hey Y'all. I'm so excited to introduce you to another lovely new friend today. This is something I have loved about Project Hope. It has brought together women from all over, for one common cause and has been such a blessing to meet these women and in turn introduce them to you! Today I'd love for you to meet Andi from The Hollie Rogue. 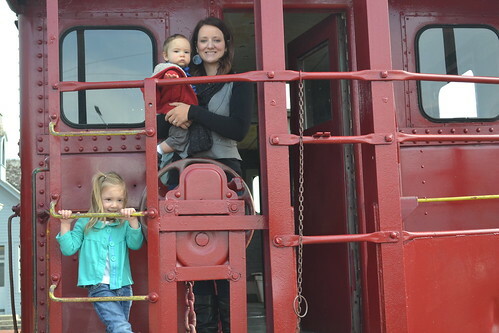 Tell us a little bit about you and your family: Hi, I'm Andi and I am an elementary teacher turned SAHM to two little ones, a wife, crafter, lover of anything vintage or antique, wannabe photographer, and lover of Jesus! I grew up on a farm in Indiana and now live in the big city burbs with my amazing family. What is your blog about? The Hollie Rogue is a blog about my perspectives on faith, family, parenting, crafting, beginner photography, and just life in general. I try to be very honest and open about things that are going on in my life. I also love the handmade community and try and support growing small businesses and shops! Please, please stop by and say hello because I really can't wait to meet YOU! How did you make the decision to open your shop and what do you create for it? I've been wanting to start an etsy shop for a while now to feature some of the unique hand-crafted accessories that my sisters and I have been creating as a hobby. Today is our official GRAND OPENING and we are so excited to have you be the first to see what we've been up to--just in time for Christmas! We have a wide range of items including crocheted cowls & hand warmers, vintage typewriter key jewelry, embroidered pendant necklaces, and much more! What inspires you most? I'm inspired by many things but mostly by preserving and re-purposing vintage materials/ideas, my family, the Word of God, and small-town life. Of course, Pinterest, is often a very inspiring place as well :). Thanks to Laura for having me here today! Her blog is really a daily must-read for me---LOVE! Also, thanks for celebrating our shop's GRAND OPENING today and to that end, I would like to give away a CROCHETED HEADBAND and FINGERLESS HAND WARMERS in purple to one of YOU! 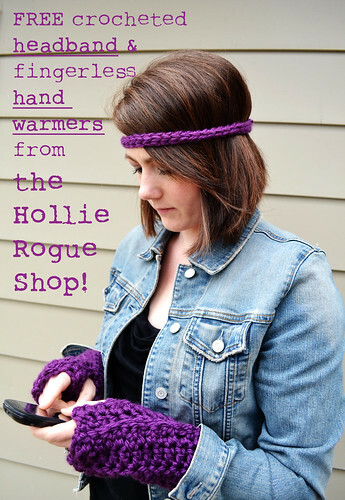 Mandatory: Head over to The Hollie Rogue SHOP and tell me your favorite item! A Bonus Entry for Splendor Followers! Leave one comment for each. These fingerless hand warmers are my favorite item from her shop, what about you? thanks for having me, friend! I like Hollie Rogue on FB! Yay Andi!! I love the embroidered necklaces! Love Andi! and her shop is darling, I love the Margaret pendant necklace. I follow and love her blog. I follow the Hollie Rogue on FB. I am now following her on twitter. My favorite item is The Hazel- so pretty! I like The Hollie Rogue on Facebook! I'm following The Hollie Rogue on Twitter! I love reading the Hollie Rogue everyday! I would love the typewriter key necklace :) Or the warm scarves! I already 'like' her on facebook! And I am a follower of Splendor! 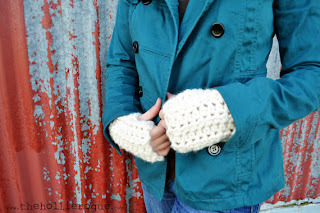 I love the cream colored fingerless handwarmers! 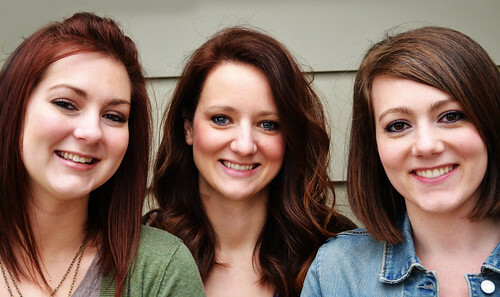 I "like" her blog on FB! Love the crochet hand warmers. 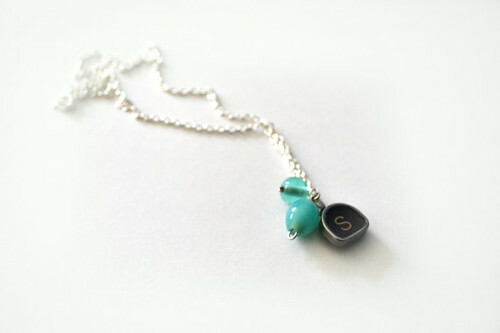 My fav is 01 vintage tombstone typewriter key S necklace with aqua colored beads, tho the cowls are a close second! I'm now a follower of your cute blog! I love the typewriter necklaces! My absolute favorite is the Grey Suede Bow Cuff Bracelet! !